This is a subject that seems to hold an endless if ghoulish fascination for readers. As a mark of respect to relatives of victims and perpetrators the book only includes murders (and executions) up to 1945. The first part of the book features 168 murders of all sorts by people of all types. Some of the accounts are very brief (just a paragraph) and some are longer, making this a book that can be dipped in and out of easily. 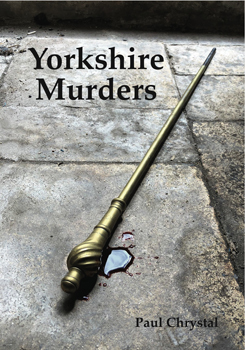 The second part of the book examines subjects related to murder such as poisons, jails, hangmen, houses of correction, body snatching, insanity, the gallows, forensic science and more.